Paradise Valley is an affluent town in According to 2005 Census Bureau estimates, the population of the city is 14,558. Despite the town's relatively small area and population compared to other cities in the Phoenix metropolitan area, Paradise Valley is home to twelve resorts, making it one of Arizona's premiere tourist destinations. It has exclusive real estate, with a median home price at $1.74 million, with many exceeding $5 million and some over $20 million. The Town of Paradise Valley was incorporated in May of 1961. It encompasses an area of 16.5 square miles and exclusively zoned for single family residential use. 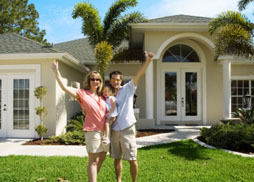 The majority of the Town is zoned for one acre lots with one house per lot. No multiple housing units or common walls are permitted. Any land use other than residential must be authorized by a Special Use Permit, which may only be granted after public hearings before both the Planning Commission and the Town Council. 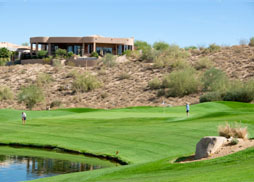 In the late 1950�s, Phoenix and Scottsdale were looking to expand their respective boundaries. Residents who lived in Paradise Valley area feared that they would lose the rural lifestyle they had become accustomed to and would soon be swallowed up by Phoenix or Scottsdale, and eventually subdivisions, shopping centers, new zoning laws and property taxes would be a commonly. These concerned residents formed a �Citizens Committee for the Incorporation of The Town of Paradise Valley, Arizona,� who set out with petitions urging residents to join them in their attempt to incorporate Paradise Valley. The residents' main goals were to keep zoning to a one house per acre minimum; to keep the area entirely residential; and to keep government regulation to a minimum. In April 1961, the Citizens Committee for Incorporation presented their petition to the Maricopa County Board of Supervisors. On May 24, 1961, incorporation was granted and the Town of Paradise Valley was established.